Silverhawk Aviation is pleased to announce the newest addition to the charter fleet: the midsize Citation Excel. The Citation Excel is one of the best-selling business jets ever built, acclaimed for its reliability, performance, and passenger conveniences. 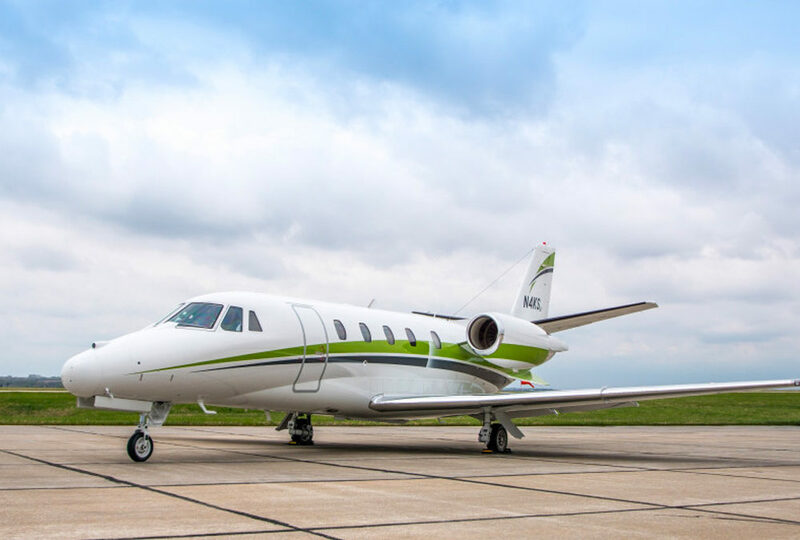 The aircraft delivers the comfort and amenities of a midsize jet combined with outstanding takeoff and landing capabilities to operate from runways as short as 5,000 feet. The stand-up cabin is extremely quiet and designed around passenger comfort. At over 18 feet long, it provides ample room for up to nine passengers and includes a fully-enclosed, stand-up lavatory. The Excel features new paint, a new executive interior, WiFi, talk, text, a full refreshment center, and the largest baggage compartment in its class. The Excel cruises at over 450 mph and sports a range of more than 1,700 miles. From Lincoln or Omaha, the jet delivers 90-minute flights to destinations such as Chicago, Indianapolis, Dallas, and Denver. Direct flights to the East and West Coast are within 3.5 hours. The addition of the midsize Citation Excel offers an added layer of flexibility to the Silverhawk Aviation fleet. Featuring midsize jets, light jets, and turboprops, Silverhawk connects you to destinations across North America and the Caribbean with versatile aircraft to meet nearly every mission you can imagine. Schedule your next flight today, and experience the comfort and performance of the Citation Excel for yourself!